A couple stops for a romantic pause while the snow swirls around them on a cold winter night in New York City. 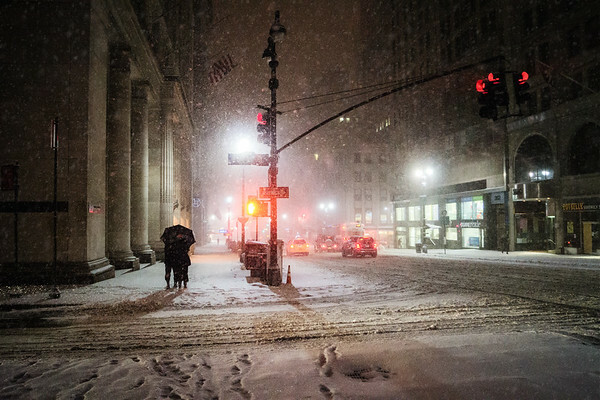 Taken in midtown Manhattan during a blizzard that dropped nearly a foot of snow on the city. The vantage point is on 5th Avenue looking south towards lower Manhattan.